Obesity is associated with elevated monocyte chemoattractant protein-1 (MCP-1), a proinflammatory chemokine related to diabetes and cardiovascular disease. Since obesity is triggered by energy dense diets, we hypothesised that nutrient induced intestinal hormones such as glucose-dependent insulinotropic peptide (GIP) may directly stimulate the release of chemokines from adipose tissue and induce low-grade inflammation. GIP effects on gene expression and secretion of inflammatory markers were studied by microarray analysis and PCR from human subcutaneous fat biopsies of slightly obese but healthy volunteers in the metabolic ward of German Institute of Human Nutrition, Department of Clinical Nutrition, Potsdam-Rehbrücke. To allocate the participants to the study arms they were numbered in order of their recruitment and then assigned to the groups by a random number generator. In a randomised, single-blind (participants) crossover design, the participants received GIP infusions in postprandial concentrations (2 pmol kg−1 min−1) or saline (154 mmol/l NaCl) infusions for 240 min either alone, in combination with hyperinsulinaemic–euglycaemic (EU) or hyperinsulinaemic–hyperglycaemic (HC) clamps. Possible mechanisms of GIP effects were investigated in single and co-cultures of macrophage and adipocyte cell lines and in primary human monocytes, macrophages and adipocytes. A total of 17 participants were randomised to the following groups: EU with GIP infusion (n = 9); EU with NaCl infusion (n = 9); HC with GIP infusion (n = 8); HC with NaCl infusion (n = 8); sole GIP infusion (n = 11) and sole placebo infusion (n = 11). All 17 individuals were analysed. The study is completed. In human subcutaneous adipose tissue (hSCAT), infusions of GIP significantly increased inflammatory chemokine and cytokine gene networks in transcriptomic microarray analyses. Particularly MCP-1 (180 ± 26%), MCP-2 (246 ± 58%) and IL-6 (234 ± 40%) mRNA levels in adipose tissue as well as circulating plasma concentrations of MCP-1 (165 ± 12 vs 135 ± 13 pg/ml; GIP vs saline after 240 min; p < 0.05 for all variables) in humans increased independently of circulating insulin or glucose plasma concentrations. GIP stimulation increased Mcp-1 mRNA-expression in co-cultures of differentiated 3T3L1-adipocytes and RAW 264.7 macrophages but not in the isolated cell lines. Similarly, GIP increased MCP-1 transcripts in co-cultures of primary human macrophages with human adipocytes. GIP receptor (GIPR) transcripts were present in primary monocytes and the different cell lines and induced activation of extracellular related kinase (ERK) as well as increases in cAMP, indicating functional receptors. Our findings suggest that the nutrient induced gut hormone GIP may initiate adipose tissue inflammation by triggering a crosstalk of adipocytes and macrophages involving MCP-1. Özlem Gögebakan and Martin A. Osterhoff contributed equally to this study. The online version of this article (doi: 10.1007/s00125-015-3618-4) contains peer-reviewed but unedited supplementary material, which is available to authorised users. Obesity and insulin resistance are associated with increased infiltration of adipose tissue with classically activated (M1) macrophages, which are a substantial source of multiple cytokines [1, 2]. These local inflammatory factors, such as TNF-α and IL-6 are thought to act directly on adipocytes to affect their insulin sensitivity and biological responses [3, 4, 5]. The crosstalk between adipocytes and macrophages was shown to be a crucial mechanism aggravating inflammatory changes in adipose tissue . Experimental inhibition of the macrophage inflammatory responses or phenotype was shown to markedly improve insulin sensitivity [7, 8]. While a role for chemokines in macrophage recruitment is well established, the initiation of these signals is not fully understood. One of the most important candidates is monocyte chemoattractant protein-1 (MCP-1), which is highly expressed in adipose tissue by both adipocytes and macrophages, and potently recruits monocytes/macrophages into adipose tissue [5, 9, 10]. Moreover, MCP-1 was recently shown to regulate adipocyte biology directly by altering their differentiation and insulin sensitivity . Transgenic mice that overexpress Mcp-1 specifically in adipocytes develop adipose tissue inflammation and insulin resistance without obesity [9, 10]. Since obesity is triggered by diets high in fat and energy content, nutrient induced hormones such as glucose-dependent insulinotropic peptide (GIP) may directly stimulate the release of chemokines from adipose tissue. Both fat and glucose are potent stimulants of the neuroendocrine gut hormone GIP, an incretin synthesised by endocrine K cells in the upper intestine, which responds very rapidly to food intake and is well known for its insulinotropic actions [12, 13, 14, 15]. Deficiency of the GIP receptor (GIPR) is associated with pronounced metabolic improvement in animal models of diet-induced obesity [16, 17, 18]. Additionally, obesity appears to coincide with elevated GIP plasma levels in humans [13, 19]. GIPRs are known to be present on adipocytes and were shown to play a role in the regulation of glucose and lipid metabolism as well as in adipocyte differentiation [20, 21, 22, 23]. The expression level of GIPRs in humans was highly correlated with body weight, waist circumference, insulin levels and insulin sensitivity, as well as with triacylglycerols and HDL-cholesterol . In recent cell culture experiments with human primary adipocytes, GIP was shown to elicit inflammatory responses involving IL-1β and IL-6 . We therefore investigated in a clinical trial whether treatment of human participants with GIP acutely affects inflammatory responses, in particular the expression of MCP-1 in adipose tissue and its circulating levels with respect to a possible GIP-dependent recruitment of macrophages. Moreover, we investigated the effects of GIP on MCP-1 mRNA-expression in human adipose tissue, adipocytes and macrophages in vitro separately as well as in co-cultures. We further examined whether functional GIPRs were expressed on monocytes and macrophages. For a more detailed description, please refer to the electronic supplementary material (ESM) Methods. The study was approved by the ethics commission of Brandenburg, Germany (Registration No. AS 2(a)/2005). All individuals gave written informed consent prior to the study. We studied 17 healthy male obese (BMI >28) participants with normal glucose tolerance in the range of 18 to 70 years of age whose characteristics are summarised in ESM Table 1. All participants had no evidence for metabolic disease and reported a stable body weight for at least 12 months. They were instructed to avoid significant physical activity 3 days preceding each examination day and to use a food intake protocol throughout the study period. All studies and examinations were done in the overnight (>10 h) fasted state. Each participant underwent a complete physical examination and evaluation of medical history, including standard fasting laboratory and clinical chemistry as well as OGTT with 75 g glucose (Roche Diagnostics, Mannheim, Germany) to assess the metabolic state. The effect of synthetic human GIP (1–42) (PolyPeptide Laboratories, Wolfenbüttel, Germany) administration on gene expression in human subcutaneous adipose tissue (hSCAT) was studied under three different conditions in a single blind design (ESM Fig. 1). Either the participants received only a GIP (2 pmol kg−1 min−1) or a saline (154 mmol/l NaCl) infusion for 240 min. At different investigation days participants underwent hyperinsulinaemic–euglycaemic (EU, capillary glucose concentration 4.44 mmol/l) and –hyperglycaemic (HC, 7.8 mmol/l) clamps (insulin infusion rate: 40 mU m−2 min−1) combined with GIP or saline infusions (0.9% NaCl isotonic solution, Fresenius, Bad Homburg, Germany) for 240 min in a randomised, single-blind, crossover design. From each participant, two hSCAT biopsies were taken before and after infusions. Between intervention days, an intermission time of at least 7 days was maintained. Insulin was determined in serum by insulin-ELISA (Mercodia, Uppsala, Sweden). In plasma containing aprotinin (Trasylol, Bayer, Leverkusen, Germany), human GIP (total) ELISA kit (Linco Research, St Charles, MO, USA) was used and MCP-1 in plasma measured by human MCP-1 Quantikine kit (R&D Systems, Wiesbaden, Germany). Frozen hSCAT (300 mg) was extracted with QIAzol and RNA extracted with Lipid Tissue RNA-Kit (Qiagen, Hilden, Germany). Total RNAs were processed with Agilent One Color Spike Mix Stock Solution and hybridised to a total number of 100 Agilent 60-mer Whole human Genome (4 × 44 K) single-colour DNA microarrays (Agilent Technologies, Waldbronn, Germany). Expression microarray data was uploaded to NCBI GEO (www.ncbi.nlm.nih.gov/geo/query/acc.cgi?acc=GSE40589); Accession No: GSE40589. In addition, cDNA was generated with the high-Capacity cDNA Reverse Transkription Kit (Applied Biosystems, Darmstadt, Germany). Each cDNA was labelled by Power SYBR Green master mix and detected with the ABI Prism 7900HT Sequence Detector in triplicates by use of the standard curve method (Applied Biosystems, Darmstadt, Germany). Samples were normalised to ribosomal protein large protein 0 (RPLP0) and fold changes calculated. THP-1, RAW 264.7, 3T3-L1 and Simpson–Golabi–Behmel syndrome (SGBS) cells were maintained at 37°C and 5% CO2. Human primary blood monocytes were isolated from whole blood samples using RosetteSep Monocyte Enrichment Kit (STEMCELL Technologies, Vancouver, Canada). Peripheral blood mononuclear cell (PBMC) fractions were extracted by gradient centrifugation with Ficoll N (GE-Healthcare, München, Germany). Monocytes were isolated to high purity (≥95%) by anti-CD14 magnetic cell sorting (Miltenyi Biotec, Bergisch Gladbach, Germany). Human primary monocytes were differentiated to macrophages with granulocyte macrophage colony-stimulating factor (GM-CSF; PeproTech, Hamburg, Germany). For co-culture, either RAW 264.7 macrophages (2 × 105 cells) were plated onto differentiated 3T3-L1-adipocytes (≈2.5 × 106) or human monocyte-derived macrophages (≈1 × 105 cells) were plated onto differentiated SGBS cells (≈3.5 × 105 per well) for 240 min in contact with each other under serum-starved conditions before GIP stimulation. As a control, adipocytes and macrophages were cultured separately but in equal numbers as in co-cultures and mixed after harvest. For the study of gene expression, 100 nmol/l GIP was added for 240 min or 24 h. To avoid degradation of GIP, 25 μmol/l diprotin A was added, or GIP analogue GIP-D2-Ala was used. To determine whether adipocytes or macrophages were mainly responsible for the cytokine production in co-cultures of both cell lines, media-transfer experiments were carried out. Human primary blood monocytes, THP-1 and RAW 264.7 cells were plated at a concentration of 3 × 105 per 50 μl per well in serum free medium 24 h prior to stimulation. Cells were incubated with 500 nmol/l 3-isobutyl-1-methylxanthine (IBMX) and either NaCl (0.9%) or GIP 100 nmol/l for different times (2–30 min). cAMP concentrations were determined with the cAMP-Screen Direct System (Applied Biosystems, Bedford, MA, USA). Cells were plated (5 × 106/10 ml) and serum starved for 24 h prior to stimulation. Cells were incubated with GIP 100 nmol/l or NaCl solution (0.9%) containing diprotin A, for 30 min and subsequently harvested. Whole protein lysates were incubated with either GIPR antibodies (1:100), anti-p44/42 mitogen activated protein kinase (MAPK) or anti-phospho-p44/42 MAPK antibodies (1:2,000), followed by detection with a goat anti-rabbit IgG-HRP linked antibody (1:1,000) or horse anti-mouse IgG-HRP linked antibody (1:1,000) and the chemoluminescence system LumiGLO (Cell Signaling Technology, Beverly, MA, USA). All data are given as means ± SEM. Statistical analysis was performed using SPSS 14.0 (SPSS, Chicago, IL, USA). To test for normal distribution the Kolmogorov–Smirnov test was used. A paired, two-tailed Student’s t test was used to test for statistical significance between groups. A p value <0.05 was assumed as significant. The evaluation of microarrays was performed using Agilent GeneSpring GX Version 11 Software (Agilent Technologies, Waldbronn, Germany). Statistical significance of expression changes was calculated by unpaired t test for two groups, p value calculation was asymptotic and corrected for multiple testing by the Benjamini–Hochberg method. Iterative group analysis (iGA)  and weighted gene co-expression network analysis (WGCNA)  were used for analysis of regulated gene-clusters. Real-time quantitative PCR (qPCR) variables and plasma MCP-1 concentrations were evaluated by ANOVA with intervention setup (infusion, EU-, HC-clamp) and treatment (GIP infusion or saline infusion) as factors. The model was adjusted for age, WHR, plasma glucose and plasma insulin concentration. We wanted to investigate the effects of either GIP alone or in combination with insulin and glucose in hSCAT of metabolically healthy but moderately overweight volunteers (ESM Table 1). We therefore performed infusions of GIP either alone or under hyperinsulinaemic, EU and HC conditions in a placebo (0.9% saline solution) controlled manner for 240 min. The HC condition was chosen to mimic the postprandial state, showing the combined action of GIP, glucose and insulin, while the EU condition would allow for investigating interactions of GIP and insulin in postprandial concentrations, independent of elevated glucose levels. GIP infusion led to GIP plasma concentrations of ∼120 pmol/l compared with ∼5 pmol/l during saline infusion (ESM Table 2, p < 0.001), which resembled the postprandial and fasted states, respectively. Plasma insulin, capillary glucose and plasma GIP concentrations during the clamps and infusions are shown in ESM Table 2. We first analysed the microarray dataset by iGA , to find known GIP-regulated pathways, and WGCNA , to find unknown GIP-regulated networks by detecting gene sets with high inter-connectivity. WGCNA WGCNA clustered 10,000 pre-selected genes into up to 15 modules depending on the experimental treatment revealing a variety of genes that changed the module they belonged to treatment dependently. Interestingly, when subjecting the distribution to gene modules to a principal component analysis (PCA), exactly two components were extracted referring either to all saline infusions or all experiments with GIP infusion, demonstrating that GIP infusion elicits a specific change of the activated gene set (ESM Table 3, ESM Fig. 2). When performing a PCA to group genes, five components were extracted. In a highly significant manner, each experimental setup was strongly correlated with only one of these components (ESM Table 3). The comparison of saline and GIP infusion experiments showed the exchange of genes between specific modules involved, e.g. in GIPR downstream signalling pathways like G-protein coupled receptor signalling, cAMP signalling and extracellular related kinase (ERK) activation, pointing to activation of these genes or rearrangement of their functional context. Furthermore, cytokines like MCP-1 and their downstream pathways were involved, providing evidence for a GIP-dependent modulation of the inflammatory state in human adipose tissue. With respect to the hypothesis that GIP might influence risk factors of the metabolic syndrome and adipogenesis via alteration of the inflammatory state in adipose tissue, we found several gene networks upregulated by GIP, which are linked to inflammatory markers as well as to chemokine and cytokine action. Details are shown in ESM Table 4. These pathways contained members like MCP-1, MCP-2, MIP-2, IL-1β and IL-6 as well as their downstream pathways and thus may be important in the context of a GIP-dependent modulation of the inflammatory state in human adipose tissue. Indeed, GIP infusion during high-insulin conditions increased MCP-1 and MCP-2 mRNA expression twofold and 2.6-fold, respectively, compared with saline (p < 0.05 after correction for multiple testing, Table 1). MCP-1 mRNA-expression was also twofold upregulated after GIP infusion during high-glucose/insulin conditions compared with saline treatment (p < 0.05). A similar tendency was observed for MCP-2 (Table 1). Neither insulin alone in EU clamps nor insulin and glucose in HC clamps caused significant increases of inflammatory cytokines. To confirm the microarray data and to investigate the expression of specific inflammatory markers in more detail, we performed real-time qPCR of mRNA from hSCAT. MCP-1, MCP-2 and also IL-6 mRNA expression behaved very similarly with respect to GIP treatment and intervention conditions. A GIP infusion of 240 min duration was sufficient to increase the mRNA expression of MCP-1 (180 ± 26%, Fig. 1a), MCP-2 (246 ± 58%, ESM Fig. 3a) and IL-6 (234 ± 40%, Fig. 2a) significantly compared with baseline and also with saline infusion after 240 min (p < 0.05). Remarkably, prolonged elevation of plasma insulin or plasma insulin/glucose concentrations only marginally influenced the highly significant GIP-dependent elevation of MCP-1, IL-6 and MCP-2 mRNA expression (Figs 1, 2b,c and ESM Figs 3b,c) proven by ANOVA (adjusted for age, WHR, plasma glucose and insulin concentration) showing significant effects exclusively upon GIP administration (Table 2). The CD68 mRNA expression was significantly increased by GIP only under high-insulin conditions compared with baseline (188 ± 32%) and saline infusion (p < 0.05, respectively) (Fig. 2d–f). In each intervention setup, saline infusion caused only minimal and insignificant changes in mRNA expression of MCP-1, MCP-2, IL-6 and CD68. Interestingly, the MCP-1 receptor and GIPR were not regulated by GIP-infusion (data not shown). GIP infusions were accompanied by significant increases of MCP-1 at 120 min (p < 0.05) and 240 min (p < 0.01) compared with baseline or compared with saline infusion after 240 min (p < 0.01; Fig. 1d). GIP also resulted in increasing MCP-1 plasma concentrations after 120 or 240 min during high-glucose/insulin and high-insulin conditions compared with saline treatment, which was significant in the former (Fig. 1f; 120 min, p < 0.05) but not the latter case (Fig. 1e). The difference in human plasma MCP-1 concentrations during 240 min of GIP infusion was correlated with the gene expression in the modules specified by WGCNA for each experimental setup. When comparing the sole GIP infusion with high-glucose/insulin and high-insulin conditions combined with GIP infusion, we identified a set of 13 genes, which changed into the gene module most highly correlated with plasma MCP-1 concentrations under each experimental setup (ESM Table 5). This set of 13 genes, regarded as mainly GIP driven genes independent from glucose and insulin concentration, was involved in processes of G-protein coupled receptor mediated transmission of cytokine receptor signalling (p = 0.0157; ESM Fig. 4). Stimulation of human THP-1 monocytes/macrophages, primary human macrophages, mouse RAW2 64.7 macrophages or human SGBS adipocytes and differentiated mouse 3T3-L1 adipocytes with 100 nmol/l GIP for up to 240 min did not lead to any significant increase of MCP-1 mRNA. Since a mutual induction of Mcp-1 mRNA was reported in 3T3-L1/RAW 264.7 co-cultures , we tested whether GIP is able to enhance MCP-1 mRNA production under these conditions in murine and human cells. Indeed, in 3T3-L1/RAW 264.7 as well as in human SGBS/primary macrophage co-cultures, GIP significantly increased MCP-1 mRNA expression after 240 min compared with saline (p < 0.05; Fig. 3). Crossover media-transfer experiments from 3T3-L1 and RAW 264.7 cells, to determine the prominent partner and direction of signalling, revealed that the transfer of media from macrophages pre-stimulated with 100 nmol/l GIP for 240 min, to adipocytes, led to a much higher expression of Mcp-1 after an additional 240 min (134 ± 42-fold; p = 0.035), than vice versa transfer (1.7 ± 0.3-fold; p = 0.134; Fig. 3d). With separate incubation of 3T3-L1 or RAW 264.7 cells with either 0.9% NaCl or 100 nmol/l GIP, Mcp-1 gene expression increased only 1.3 ± 0.2-fold in 3T3-L1 and 2.1 ± 0.4-fold in RAW 264.7 (p < 0.05 for RAW 264.7; Fig. 3c). Furthermore, on a cytokine array, Mip-1β was the only member with a significantly higher concentration in the supernatant fraction of RAW 264.7 (1.43 ± 0.03-fold) pre-stimulated with 100 nmol/l GIP for 240 min, but not in the supernatant fraction of 3T3-L1 cells (1.13 ± 0.03-fold; p < 0.01 RAW 264.7 vs 3T3-L1). Besides human and mouse adipocytes, GIPR gene expression was recently shown in human monocytes or macrophages . We additionally detected GIPR mRNA expression in human THP-1 macrophage (Fig. 4a) cells and murine RAW macrophages (data not shown), and GIPR protein in human THP-1 monocytes, differentiated THP-1 macrophages, human adipose tissue samples, human primary blood monocytes and in murine RAW 264.7 cells (Fig. 4b). However, GIPR protein was not detectable in human primary monocyte-derived macrophages matching the also much lower mRNA levels. Since GIP stimulation of insulin secretion from pancreatic beta cells involves activation of adenylate cyclase and the p44/42 ERKs , we measured the cAMP concentration and ERK phosphorylation in human primary blood monocytes, THP-1 and RAW 264.7 cells after stimulation with GIP, using INS-1 cells as positive controls. GIP stimulation indicated functional GIPR by increasing the cAMP concentration in primary human blood monocytes (p < 0.05), THP-1 monocytes (p < 0.05) and RAW 264.7 macrophages (p < 0.001) significantly (Fig. 5a). Furthermore, incubation with D2Ala-GIP did not alter p42/p44-ERK phosphorylation in human primary monocytes and macrophages (Fig. 5b) but GIP + diprotin A led to a highly significant increase in the ratio of phosphorylated to total p42/p44-ERK in the THP1 and RAW 264.7 macrophages as well as in INS-1 cells (Fig. 5c–e). The present study demonstrates for the first time that GIP rapidly induces a broad inflammatory response involving the chemokines MCP-1 and MCP-2 as well as IL-6 in human adipose tissue in vivo. Furthermore, we show that functional GIPRs are expressed by primary human monocytes and both human and murine monocyte/macrophage cell lines in addition to the established expression in human and murine adipocytes, and suggest a model for the GIP-induced initiation of inflammatory response in adipose tissue. Inflammatory signals originating from adipose tissue macrophages are accepted components in the development of insulin resistance and its consequent diseases such as type 2 diabetes and atherosclerosis . In this context, overnutrition is primarily viewed as a cause of obesity, which then attracts macrophages in relation to the mass of adipose tissue [2, 31]. MCP-1 and MCP-2 were assigned an important role in both attracting macrophages to adipose tissue  and in determining a more inflammatory M1 macrophage phenotype. However, the initiation of macrophage recruitment into adipose tissue remained largely unclear . Investigation of regulated gene networks from microarray data revealed several GIP-driven clusters of inflammatory genes containing cytokines, their receptors and downstream signalling components in hSCAT. A set of 13 glucose- and insulin-independent but GIP-driven genes was highly correlated with the change of human plasma MCP-1 concentrations during all experimental setups. In addition, microarray and real-time qPCR analysis of specific inflammatory markers like MCP-1, MCP-2, IL-6 and CD68 in hSCAT biopsies uncovered putative mediators of a GIP effect on inflammation (Table 2). The ANOVA model and real-time qPCR showed that the significant and rapid increase in mRNA expression of MCP-1, MCP-2 and IL-6 in hSCAT was not evident in response to elevated insulin or elevated glucose or both, indicating that the hormonal GIP stimulus rather than the metabolic stimulus was causal in our setting. Remarkably, the increase in MCP-1 mRNA in adipose tissue was translated into increased circulating plasma levels of MCP-1 in humans suggesting systemic relevance of this stimulus. Furthermore, we found an upregulation of IL-6 and of the macrophage marker CD68 in adipose tissue indicating a promotion of macrophage recruitment by GIP. MCP-1 and MCP-2 are produced by macrophages as well as by adipocytes. MCP-1 and its receptor, C-C chemokine receptor (CCR) type 2 (CCR2), are highly expressed in adipose tissue . Overexpression of Mcp-1 in mouse adipose tissue increased circulating levels of MCP-1 and induced macrophage accumulation [9, 10]. Our data, especially from cell culture experiments in murine 3T3-L1 and RAW 264.7 macrophages, raised the question of whether macrophages may be a potential target of GIP. We were able to confirm GIPR expression on mRNA and protein level as well as their functionality by measurement of cAMP concentration and phosphorylation of p42/p44 MAPKs  in human primary blood monocytes, the human monocyte/macrophage cell line THP-1, murine macrophage cell line RAW 264.7 and the GIPR-expressing insulinoma cell line INS-1 (as a control). Similar to a study where Timper et al demonstrated increased gene expression of IL-1β, IL-6 and IL-1RA but not MCP-1 in response to GIP in cultured human primary adipocytes , we did not see a significant increase of MCP-1 expression in our THP-1 and RAW 264.7 cells, human macrophages, differentiated 3T3-L1 or human SGBS cells in response to GIP exposure. The obvious difference in GIP-dependent in vivo MCP-1 expression between human adipose tissue biopsies and culture of single cell lines led us to the reasonable suspicion that a crosstalk between adipocytes and resident macrophages is necessary for a physiological inflammatory response to GIP. Indeed, our human and murine adipocyte/macrophage co-culture systems to mimic the in vivo situation showed an increase in MCP-1 mRNA expression in response to GIP treatment. The fact that only the media-supernatant fraction from GIP-stimulated macrophages was able to induce a solid Mcp-1 expression after transfer to adipocytes but not vice versa, suggests a secreted soluble factor to finally initiate the crosstalk from macrophages to adipocytes. The more potent effect of media transfer on Mcp-1 expression than in co-culture can be explained by a macrophage/adipocyte ratio of 50:50 in media-transfer experiments compared with 10:50 in co-cultures. Two results make macrophage inflammatory protein-1β (MIP-1β) a potential candidate to be at least one of the signal transmitters from macrophages to adipocytes: the significant upregulation of MIP-1β protein expression after GIP stimulation of RAW 264.7 but not 3T3-L1 cells, and the involvement of the previously mentioned set of 13 GIP-driven genes (ESM Fig. 4) linked to human plasma MCP-1 concentrations in the signal transduction of the MIP-1β receptor (CCR4). GIPR antagonism or genetic deletion prevents weight gain and metabolic abnormalities associated with high fat or energy dense diet induced obesity in mice [16, 33] while these diets are also powerful stimulants of Mcp-1 in mice in vivo . In Ob/Ob mice, deletion of Gipr or treatment with GIP antagonists leads to major improvements of metabolism and insulin sensitivity despite persisting obesity [16, 17, 35]. In humans, surgical bypass of GIP-secreting K-cells greatly decreases GIP levels and results in rapid improvement of insulin sensitivity [35, 36, 37]. 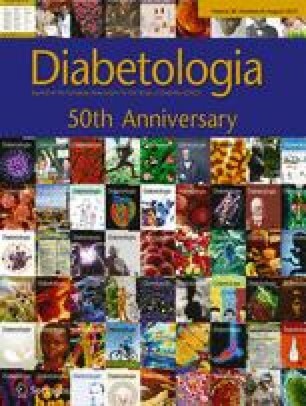 The direct GIP-induced elevation of MCP-1 mRNA expression as well as circulating MCP-1 plasma concentrations we found in this study may be the link between chronically or frequently elevated GIP concentrations by ingestion of energy dense food or several intermediate snacks and inflammatory responses and insulin resistance. In summary, we here demonstrated for the first time functional GIPR expression on monocytes and macrophages and introduce in vivo the concept that periprandially released hormones, particularly GIP, play a crucial role in initiating low level inflammation associated with obesity. GIP appears to promote a crosstalk between macrophages and adipocytes to induce this response. These observations suggest that food inducing extensive release of GIP may be proinflammatory due to the hormonal response it induces and imply novel approaches to conceive healthy foods with a low GIP releasing potential (Fig. 6). GIPR and MCP-1 receptor antagonists might prove beneficial to reduce inflammation linked with obesity, and in prevention of type 2 diabetes and the metabolic syndrome. We wish to thank A. Wagner, A. Borchert and K. Sprengel in our department for technical assistance. We also thank S. Sucher in our department for her excellent technical support. RAW 264.7 cells were kindly provided by A. Kiderlen (Robert-Koch Institute, Berlin, Germany). SGBS cells were kindly provided by M. Wabitsch (University Medical Center, Ulm, Germany). D2Ala-GIP was a gift from V. Gault (School of Biomedical Sciences, University of Ulster, Coleraine campus, Coleraine, UK). This work was supported by the German Research Foundation (DFG): grant No. Pf164/021002. The funders had no role in the study design, data collection and analysis, the decision to publish, or preparation of the manuscript. ÖG, NR, MN and AFHP contributed to the conception and design, AFHP to the supervision of the study. ÖG contributed to the clinical study, acquisition of adipose tissue biopsies and human blood samples. ÖG and MAO contributed to the investigation of human samples from the clinical study and cell culture experiments. ÖG, MAO, ACS, OP and RS contributed to cellular co-culture experiments. ASM contributed to microarray hybridisation and acquisition of microarray data. ÖG and MAO contributed to the evaluation and statistical analysis of microarray data. OP, MK and ACS contributed to the investigation of human primary monocytes and macrophages. ÖG, MAO, ASM, RS and MK contributed to the analysis of the data. ÖG, MAO, OP and AFHP contributed to the drafting. All authors contributed to the critical review of the manuscript and approved the final version. ÖG and MAO are the guarantors of this work.